It’s time for another Sweet Saturday Samples! Ryan needs to see for himself what the doctor has said is true. needed to burn off the haze. table? He could run now. He’d get all the answers he needed. A good run would settle his brain. It always did. pound of his footsteps driving out the anger and frustration. familiar hug on his feet. frustration faded away. He was a runner. Alone with his miles. injury. His body remembered what it was meant to do. comfort in the rhythmic movement. There was no pain in his knee. He felt like himself for the first time in six months. It barely lasted a block. If you liked this snippet, check out my books at http://amazon.com/author/joselynvaughn or at your favorite ebook retailer. 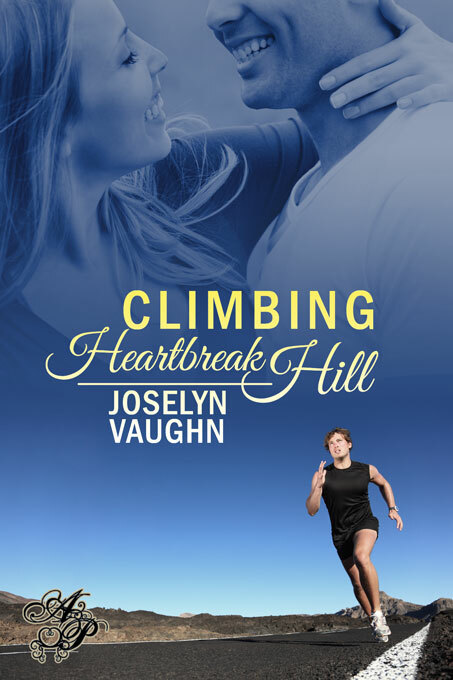 Don’t forget, Climbing Heartbreak Hill is on sale for 99 cents for a limited time (Amazon only). Perfect time to pick up a copy. Have a great day! Oh, poor guy. I feel bad for him.